University of Derby are set to work together with the Chatsworth House Trust and the Devonshire Educational Trust to generate new opportunities for students, and to benefit visitors to Chatsworth and local communities across the county. A strategic partnership agreement has been signed by University Vice-Chancellor, Professor Kathryn Mitchell, and Lord Burlington, University Chancellor and son of the Duke of Devonshire. The agreement paves the way for students to take up a variety of work and volunteer placements at the stately home, to stage events there and deliver agreed activities. The agreement identifies opportunities for students to work, volunteer and study at the world-renowned visitor attraction in a range of roles, developing their skills in a busy working environment, such as the kitchens of the Chatsworth restaurants. Students will also undertake business development projects; applying their skills and knowledge to challenges and opportunities. The potential to connect learning and Chatsworth is immense, including business, humanities, hospitality, tourism, engineering and the environment. Marketing Derby hosted its first joint Derby and Derbyshire Embassy event at the House of Lords, Palace of Westminster in October to celebrate the strength of Derby and Derbyshire. Two hundred guests from the city and county joined London ambassadors and to hear from speakers including the Earl of Cavendish about connections with the capital. John Forkin, Managing Director at Marketing Derby, who opened the event, commented: "Marketing Derby has been running these unique and innovative Embassies for over ten years. We started at the House of Commons and we are delighted to finally be at the House of Lords". Event host Bishop Alastair Redfern former Bishop of Derby encouraged guests to work together and told them that real innovation comes from creative relationships and the spirit of confidence. This year Marketing Derby were especially delighted to receive the support of headline partner Pick Everard and associate partner Burnthebook. Messages of confidence also came from Derby City Council Leader Cllr Chris Poulter who announced that with support from Flint Bishop, Geldards, Rigby & Co and D2N2 LEP, the Council had just completed the purchase of run-down buildings in the Becketwell area of the city to open it up for much-needed regeneration. William Cavendish, Earl of Burlington and Chancellor of the University of Derby announced the launch of a strategic partnership between the Chatsworth House Trust, the Devonshire Educational Trust and the University of Derby. The partnership will generate new opportunities for students to take up a variety of work and volunteer placements at the stately home, to stage events there and deliver agreed activities. Click here to view our exclusive MDTV film report on the Embassy. 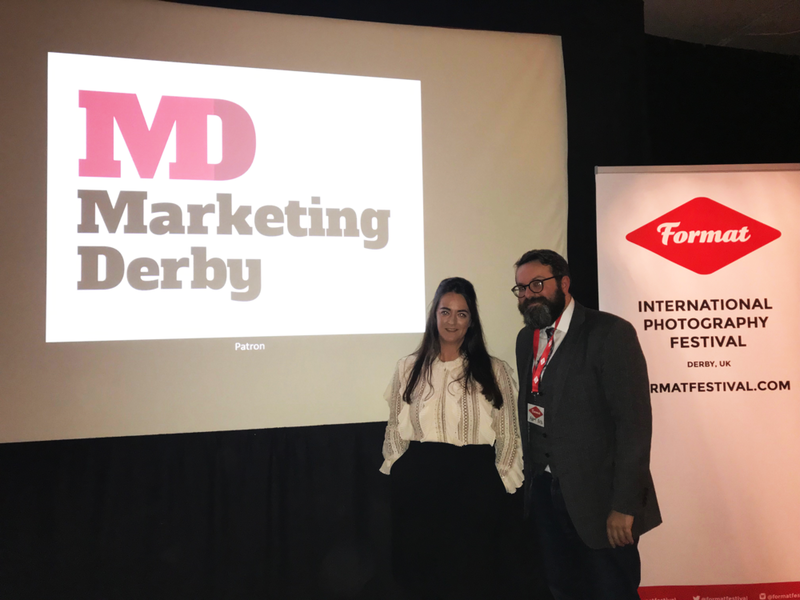 Marketing Derby are proud to sponsor FORMAT 19 which was officially launched last night at the iconic Horse Hospital - the three tiered progressive arts venue in Bloomsbury, London and will run 15th March - 14th April 2019 at various locations across Derby. FORMAT is organised by Bondholders QUAD and the University of Derby. Marketing Derby hosted its 30th Derby Embassy at the Royal Automobile Club on Pall Mall at the beginning of the Summer with a keynote presentation from Rolls-Royce plc. Embassy guests heard from the Leader of Derby City Council, Chris Poulter at his first Embassy event since taking over the leadership role, as well as hearing from law firm and Embassy partner Smith Partnership about their forward-thinking approach to an office move. Paul Harris, Director of Economic Development for Rolls-Royce re-affirmed the global firms commitment to Derby. John Forkin, Managing Director of Marketing Derby said "We have been holding Embassy events in London for 10 years. They go from strength to strength and are an important part of our inward investment strategy. This year we opened an office base in the capital and launched an Ambassadors Club which is becoming a dynamic group of advocates for the city." This was the key message from the Derby Property Summit in July. 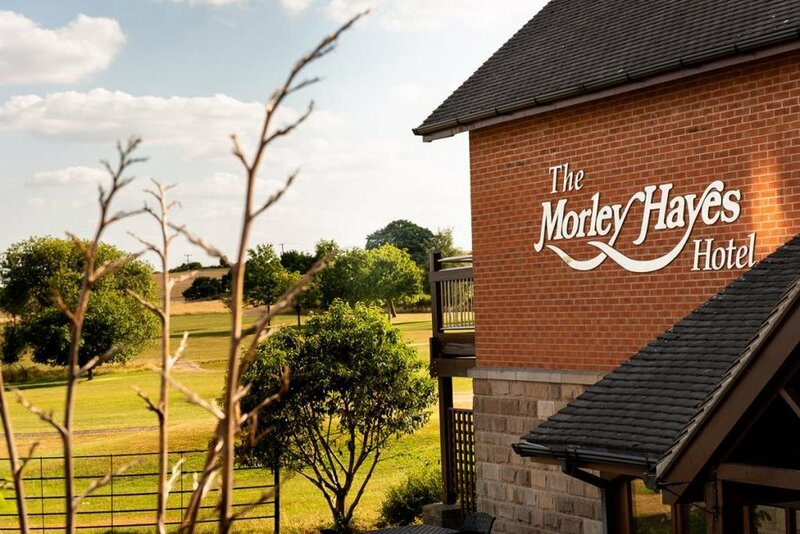 The Marketing Derby Property Summit, now in its sixth year, is the largest commercial property event in the Midlands, with 300 senior-level delegates attending from across the UK. Partnered by Smith Partnership and supported by Faithful + Gould, Derbyshire Economic Partnership and fDi Intelligence of the Financial Times the event is part of the "Invest in D2N2" project, which is part-funded by the European Regional Development Fund (ERDF) as part of the European Structural and Investment Growth programme 2014-2020. Cambridge - Derby - Oxford? Derby has been ranked amongst the elite at the top of a new league table in a UK Powerhouse City Growth Tracker report sitting between Cambridge (1st) and Oxford (3rd). The report compares the growth of 45 UK cities in annual gross value added (GVA) in Q4 2017 – the value generated by the production of goods and services. With a year-on-year growth of 1.8% Derby has proven itself as the rising star of the Midlands. The report also shows that in the same period the manufacturing sector in the UK grew by 1.3% buoyed by booming global trade volumes. Global manufacturers Bombardier, Rolls-Royce and Toyota Manufacturing UK are based within Derby and Derbyshire, which together employ over 20,000 have enjoyed a competitive export advantage from the weak pound in 2017 boosting production. John Forkin, Managing Director of Marketing Derby said: “The strength of Derby’s economy is core to the city’s investment pitch and whilst there is no one league table that acts as a silver bullet we are always there or thereabouts. At the heart of Derby’s world-leading rail cluster, Bombardier transportation has secured a deal with Transport for London (TfL), worth £73 million, which will see it build five additional trains for services on London’s Elizabeth line increasing the total order to 70 trains. The agreement also includes an expansion to the existing Train Services Agreement to cover the new trains. The additional BOMBARDIER AVENTRA trains will have 9 carriages which will boost the capacity to the central section of the new Elizabeth line service and an extension to Reading and Heathrow Terminal 5. Each train will carry up to 1,500 passengers, include air-conditioning, interconnecting walk-through carriages, and have been designed with an emphasis on energy-efficiency and intelligent on-train energy management systems. These extra cars will be added to the 585 cars already in production in Derby for the Elizabeth line and are scheduled to enter service by the end of 2019. Derby City Council has signed a collaboration agreement with the D2N2 Local Enterprise Partnership and one of the world’s leading manufacturing research institutions to open a new nuclear research facility on Infinity Park Derby, the city's 100-acre Enterprise Zone, located next to the world headquarters of Rolls-Royce Civil Aerospace. Proposals have been approved to enable the University of Sheffield Advanced Manufacturing Research Centre (AMRC) to establish a new multi-million pound innovation facility (50,000 ft2) on Infinity Park which will be an extension of the existing iHub and allow more new technologies to be delivered in the Midlands. AMRC was established by the University of Sheffield in 2001 and has developed into a cluster of innovation centres focusing on the UK’s key engineering industries. It recently helped secure more than £100m in inward investment to the Sheffield City region from Boeing, Rolls-Royce and McLaren and is looking to replicate its success with the new research centre at Infinity Park, which it hopes will attract firms seeking to develop new technologies to the city. The agreement will support Derby City Council and D2N2’s bold strategy for improving the region’s economic growth, skills and jobs whilst the site will receive Catapult Centre status as a nationally-recognised centre for hi-tech research and business growth. Airbus, which is headquartered in Toulouse, France has recently opened a new office at the iHub. The aeronautics company will collaborate with Rolls-Royce on the development f a new engine that is 25% more fuel efficient and chose to locate to the iHub due its proximity to Rolls-Royce. Derby came second in a recently released list of 'Best locations to earn a living', appearing just behind Crawley and ahead of Southampton. Credit checking company TotallyMoney who describe Derby as the 'centre of advanced transport manufacturing', compiled the list by calculating the cost of living, salaries, average monthly mortgage repayments, job growth and business closures. Derby has also risen to 24th place in the national retail centre rankings, putting the city in the top 1% of UK retail destinations according to leading retail data consultants CACI. The study, which was commissioned by Marketing Derby and Derby City Council, follows studies in 2007 and 2012. In 2007, Derby was 64th in the rankings, conducted prior to the opening of Westfield Derby, now intu Derby. In 2012, the city rose a huge 30 places as the impact of the new shopping centre made itself felt. The success of the city can be put down to a strong offering at intu Derby, which sees 25 million visitors each year, and the Cathedral Quarter, which secured the Best UK City Location award at the Great British High Street Awards 2017. Officially launched in October 2017 at City Hall, the home to London's Mayor, the London Chapter of Derby Ambassadors Club is a group of individuals who are primarily based in London but have an ongoing affiliation with Derby. Chaired by David Boutcher, Corporate Partner at global law firm Reed Smith, the overall emphasis of the London Chapter is on using Derby’s ‘assets’ in the capital to create contacts and leads to help raise Derby’s profile and drive investment into Derby. Members will be invited to three gatherings per year which will partly serve a social and networking purpose, and partly be an opportunity to get up to speed on developments and investment opportunities in Derby, including how members might signpost to their contacts.